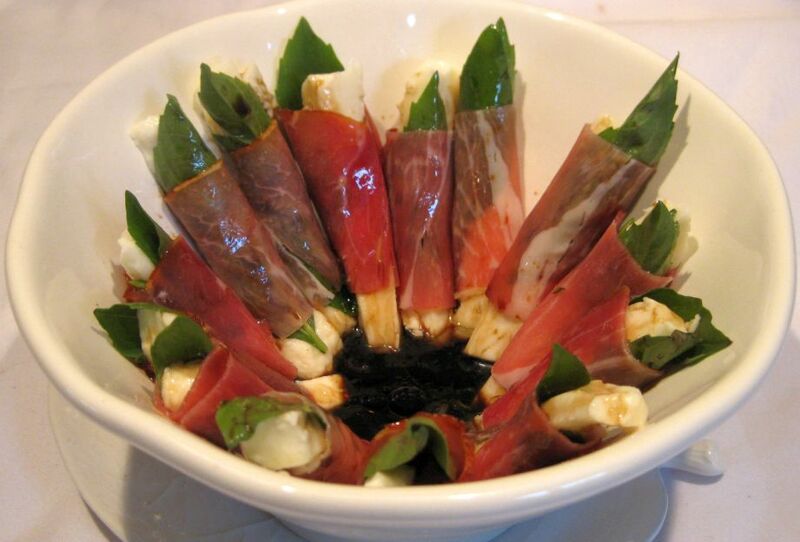 This is an impressive appetizer that you put together in less than 10 minutes. 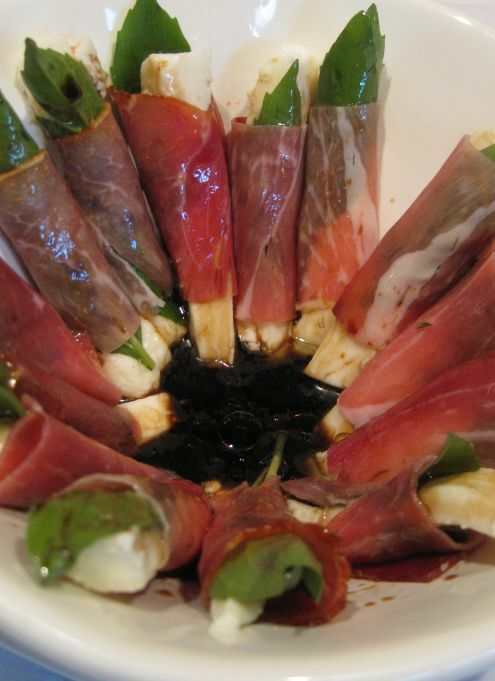 Mozzarella cheese is cut in long strips, wrapped in prosciutto, then a basil leaf is added, and then balsamic vinegar and olive oil is poured over the rolls. Let the rolls hang out a room temperature for a few hours to let the flavors mature. 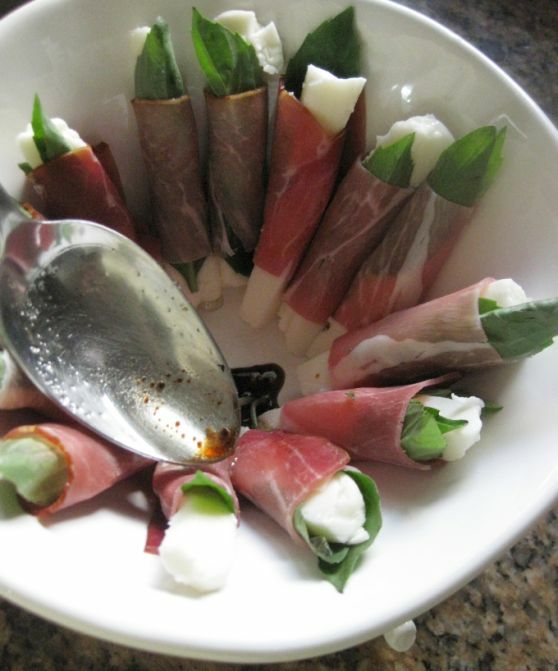 I came up with this appetizer by using what I had in my refrigerator. 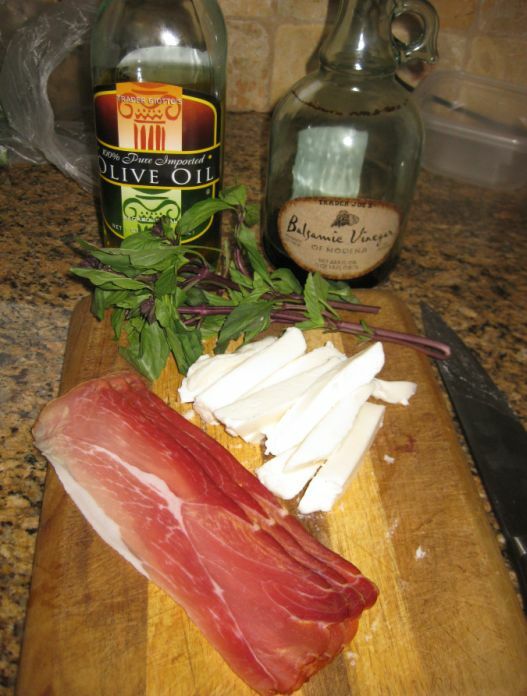 Combining Prosciutto, Mozzarella cheese and basil was great but I thought it missed something so I added a balsamic vinegar and oil sauce to enhance the flavor of the dish. The color of this dish is so bright and appetizing! 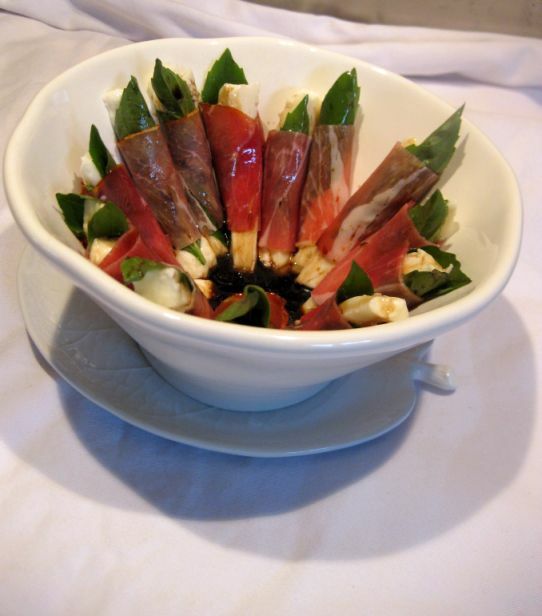 The addition of the basil leave gives the appetizer a fresh bite. Close look at the appetizer! 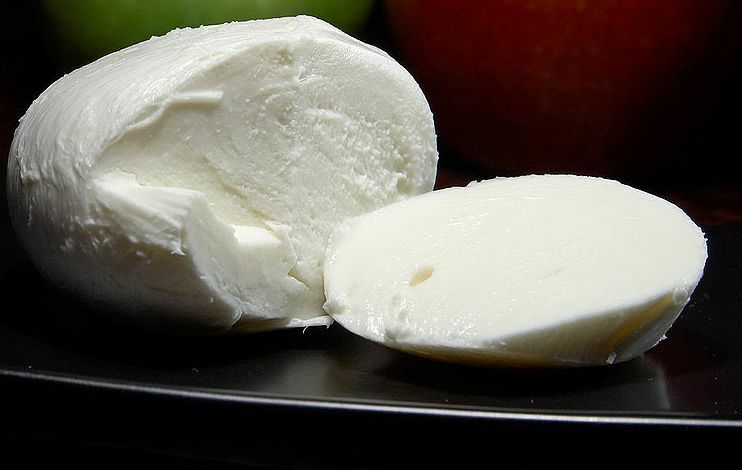 Cut the mozzarella into long strips. 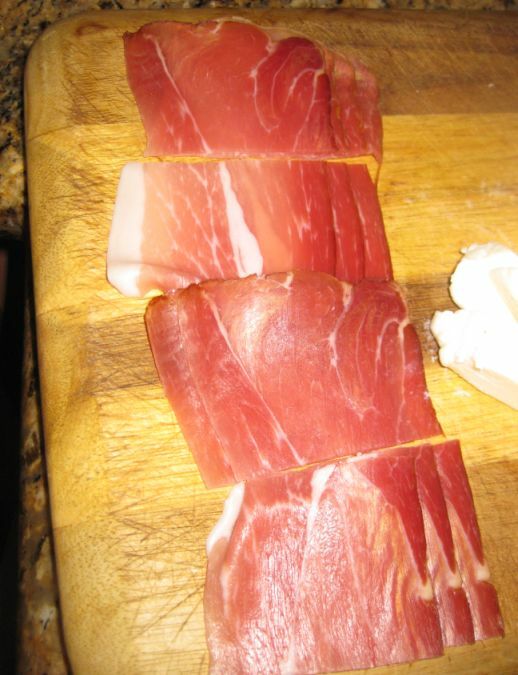 Cut each Prosciutto into 4 pieces. 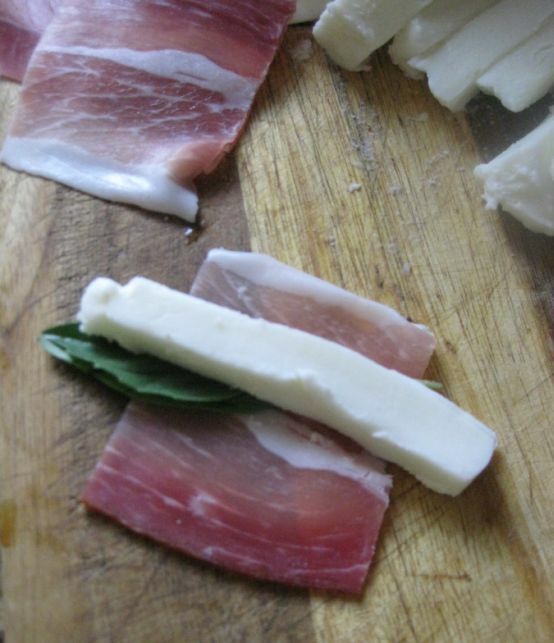 Put the prosciutto on a cutting board and put a mozzarella and a basil on top. 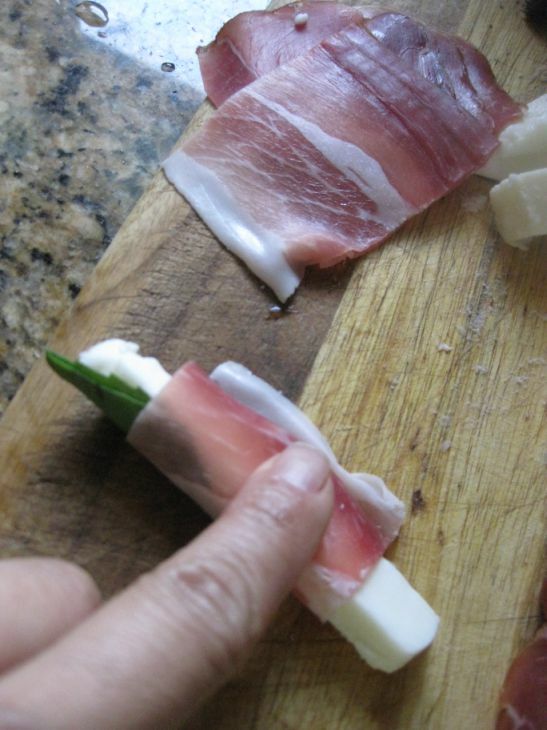 Roll the prosciutto and continue will all the prosciutto. Make sure that the top of the basil leave is sticking out. It just looks better that way. 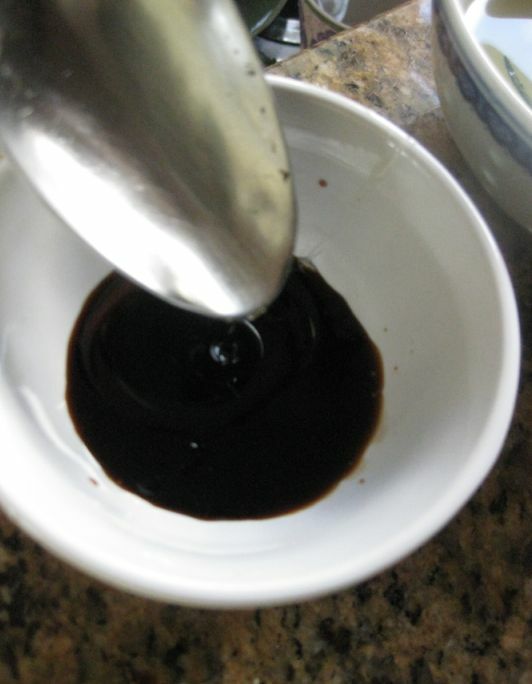 In a small bowl combine the balsamic vinegar with olive oil and add a bit of sugar. Taste the sauce and season according to taste. 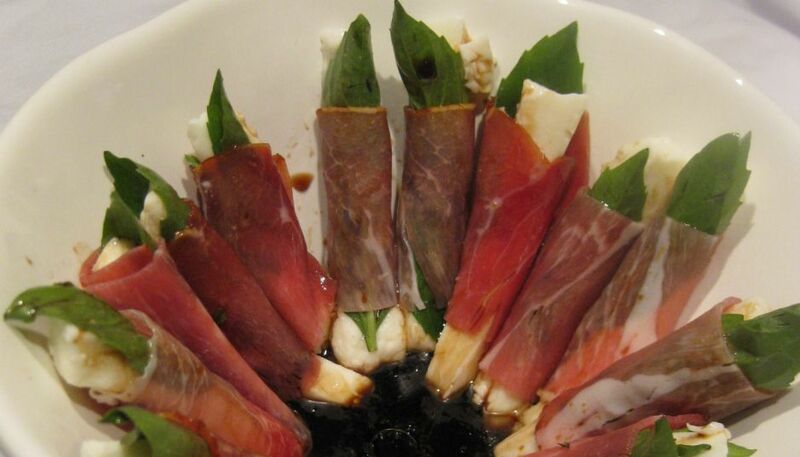 Pour the sauce over the prosciutto rolls and let it marinate at room temperature for a few hours.